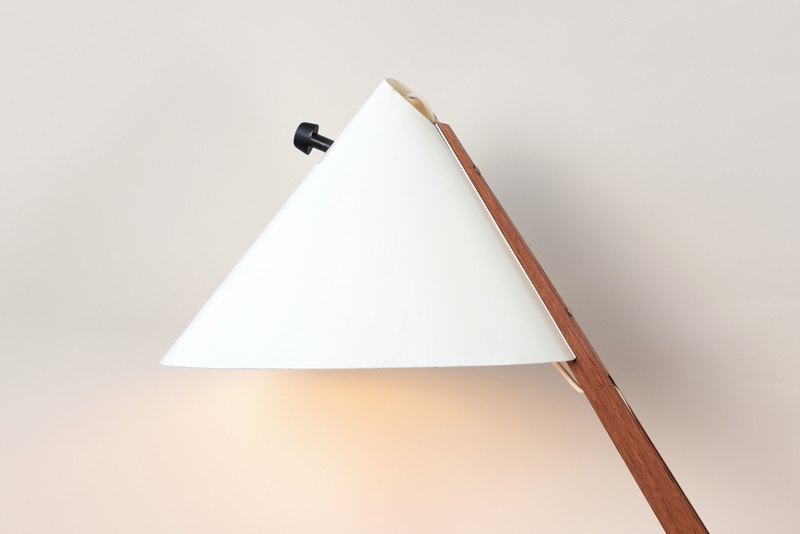 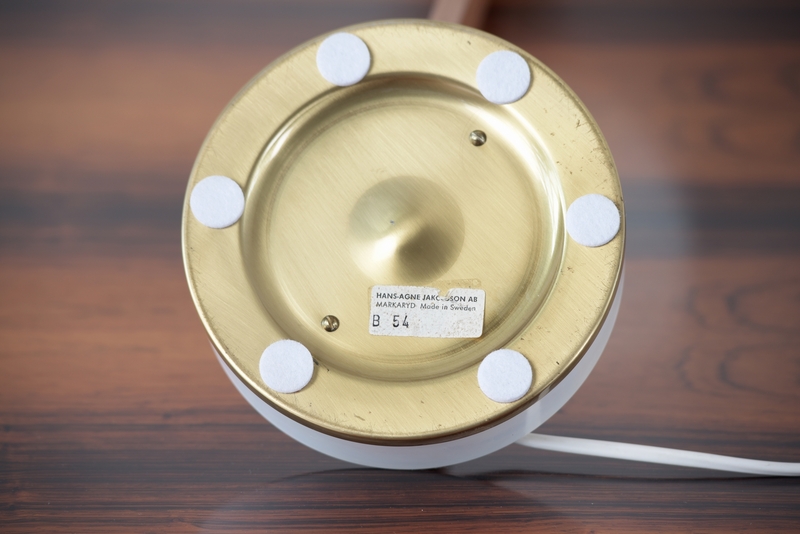 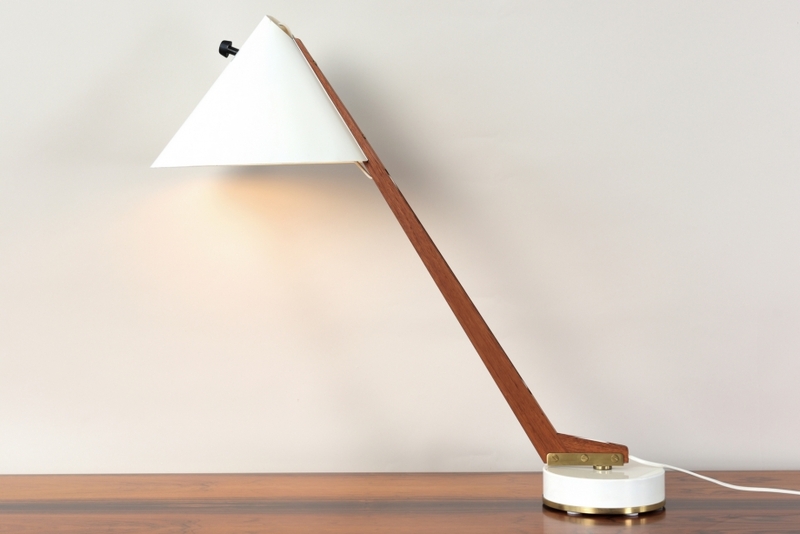 Hans Agne Jacobsson went formally a new way with his B 54 table lamp. 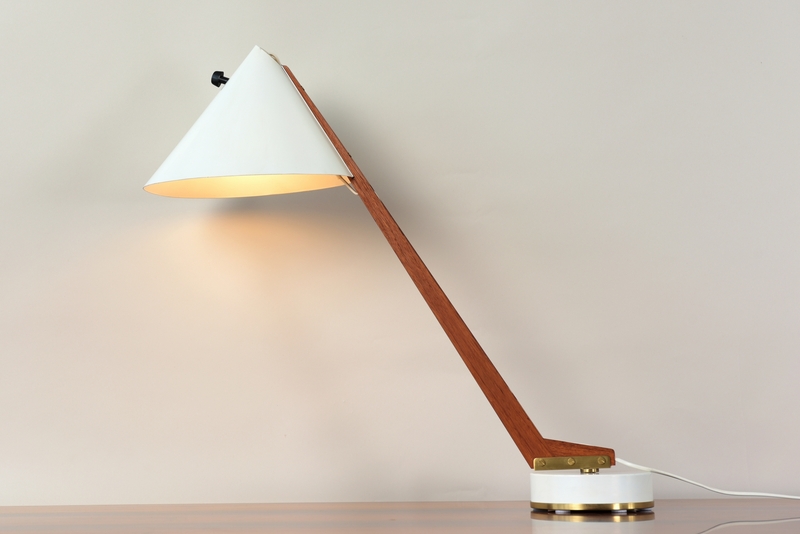 For the manufacturer "MARKARYD", named after a city in southern Sweden, he has made some designs. 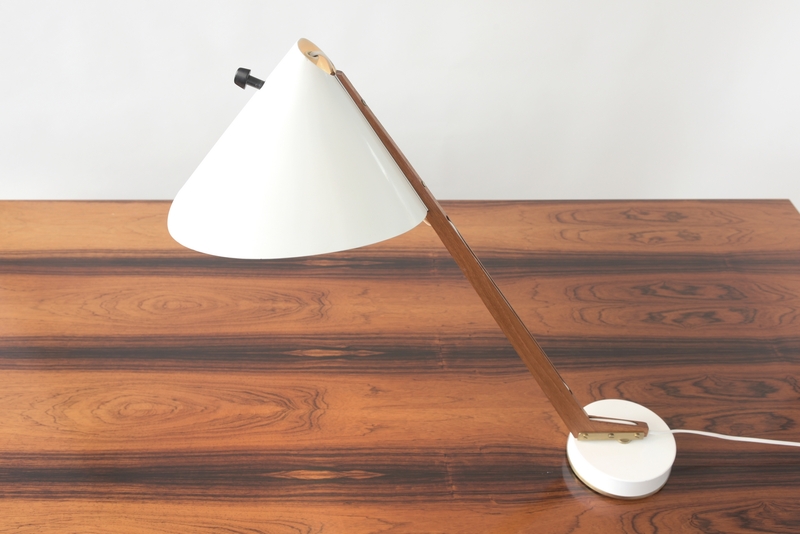 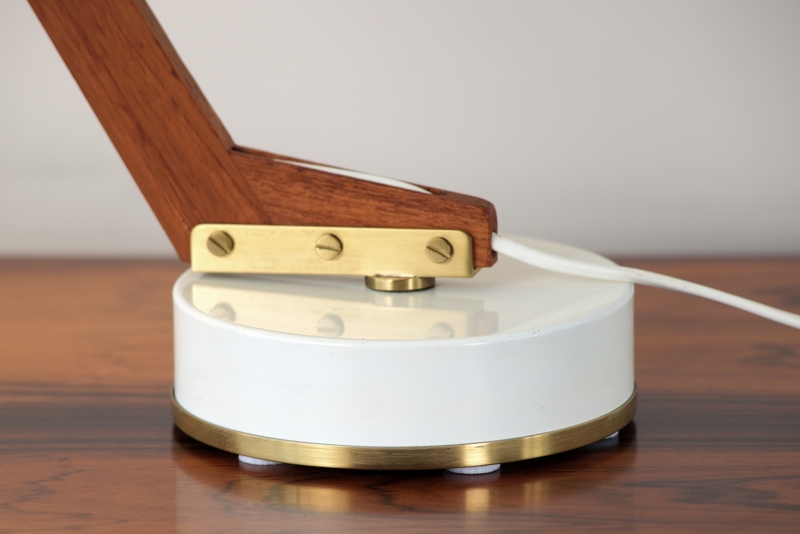 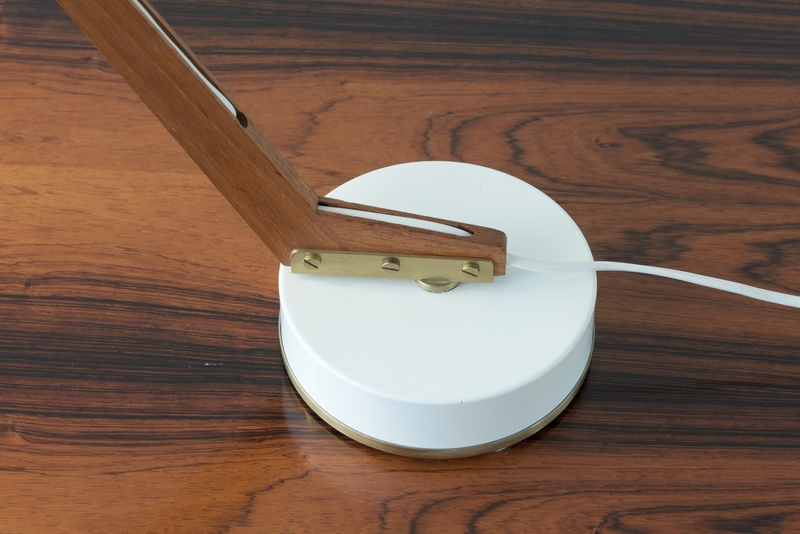 The luminaire fits very well with teak, the wood of Scandinavian modernity.